This table is made by an American manufacturer, Playcraft, yet is designed to mimic a European-style of play. What does European foosball consist of? The first giveaway is the bowl-shaped cabinet and inward angled table legs. Second, most have a single goalie with ramps on the corners rather than three men in the back. The men are mounted on telescoping rods that add safety to the table so the other side doesn't have bars that come out unexpectedly. The style of play on the surface of the table is slower and consists of more pin shots. 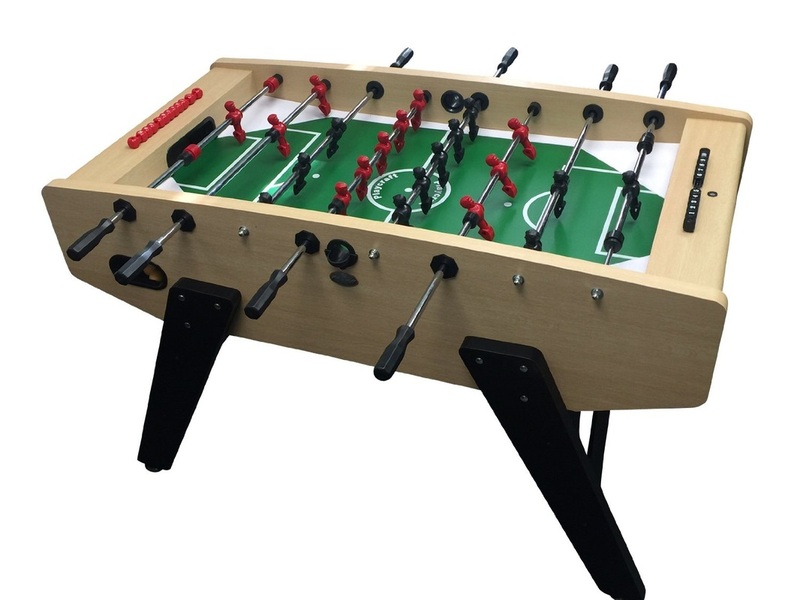 Most European tables retail at $1,000 or more so this is a great table if you are looking for that older style of play at an affordable price. This table is rated a 4 out of 5 stars. This table is priced at about $600 US.